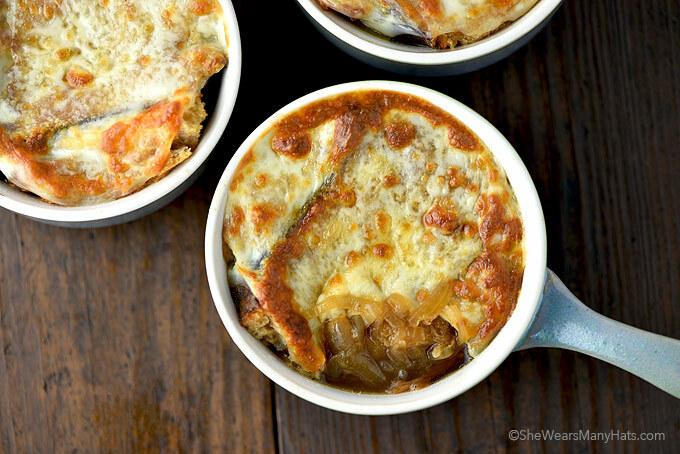 This quick and Easy French Onion Soup recipe can be ready in no time so it can be enjoyed any day of the week. Comfort food comes in all shapes and sizes for people. It doesn’t have to be complicated or fancy. Soup is one of my favorite comfort foods. 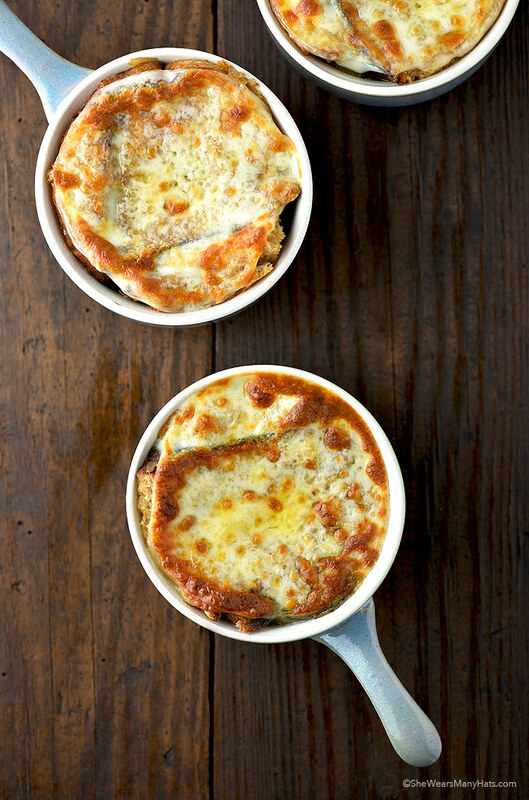 This quick and Easy French Onion Soup recipe is a simplified version of the favorite classic. Did you read that? Simplified. 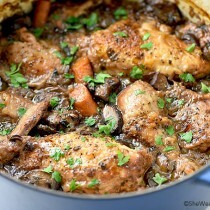 Simple comfort food is a good thing, don’t you agree? Seriously, forget that canned French Onion Soup and make your own in no time right at home with basic ingredients, straightforward preparation and in just under 45 minutes. It’s super simple soup making, y’all. The most difficult part is slicing the onions and we all know slicing onions is easy peasy. To prepare this flavorful soup, begin by sautéeing sliced onions in butter for about 7-8 minutes, until tender. Stir in beef broth, Worcestershire sauce and salt to taste. Then, bring to a simmer, cover and simmer for at least 10 minutes. Keep the soup warm until ready to serve. When ready to serve, preheat your broiler. 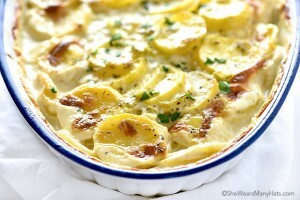 Place oven-proof individual bowls on a baking sheet and ladle soup into each. 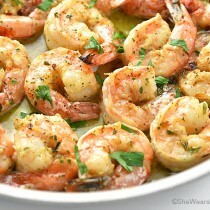 Finish by topping each with a slice of thick crusty toasted bread and a slice of provolone (or gruyere) cheese. Place under broiler until cheese melts and is slightly golden. See how easy that is? For make-ahead prep for this Easy French Onion Soup, prepare the soup through the simmering stage, then cover and refrigerate up to two days. When ready to serve, rewarm soup stove top, then proceed with recipe by filling oven safe onion soup crocks, bowls or wide-mouthed mugs with soup, top each with bread and cheese then bake under the broiler until melty and bubbly. So what are you waiting for? 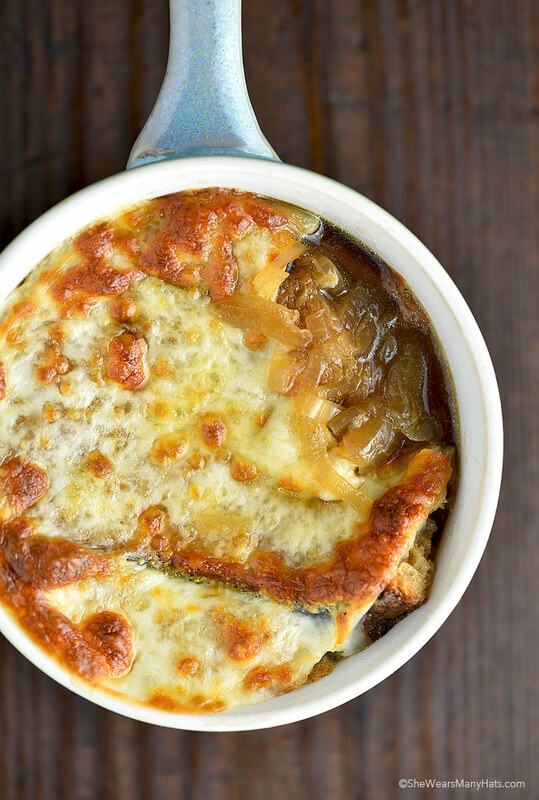 Warm up with a bowl of this Easy French Onion Soup right at home. Enjoy! A quick and easy version of the classic favorite soup. 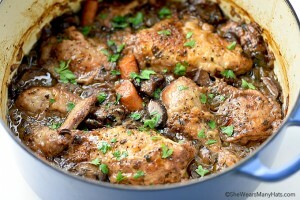 Heat a dutch oven or stock pot over medium heat. Add butter; melt. Add sliced onions, pepper and garlic powder; sauté for 7-8 minutes until tender. Add beef broth, Worcestershire sauce and salt to taste. Bring to a simmer, cover and simmer for at least 10 minutes. Keep warm until ready to serve. Just before serving, preheat broiler. 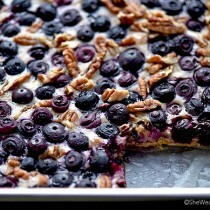 Arrange oven-proof individual crocks, bowls or soup mugs with a wide mouth on a baking sheet. Ladle soup into bowls. Top each with a slice of toasted bread and a slice of cheese. Place under broiler until cheese melts and is slightly golden. Serve warm. For make-ahead prep, prepare the soup through the simmering stage, then cover and refrigerate up to two days. When ready to serve, rewarm soup stove top, then proceed with the recipe. Originally published February 28, 2016. Why is there no “Pin it” button on here? I’d like to save it to my Pinterest, but it’s not as easy as it should be. 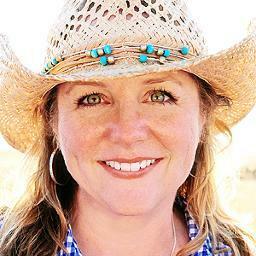 Hi @Bridget – note about pintrest – I used to feel the same way until I found you can install a “pintrest save button” right in your google chrome browser and just click on the little red circle with a “p” each time you want to save anything at all and it converts it to a pin and saves it for you. Under the title at the top are small social media icons, which includes one for saving/sharing to Pinterest. hi, that is good but that is not French onion soup it is Irish onion soup. I live this soup, simple and delicious. Made with stuff everybody has too,. Thanks for sharing. Love your site, I love quick and easy on week nights, Honey it’s cold outside and I’m gonna fix this tonight. 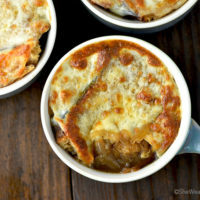 This French Onion Soup was so delicious and easy to make! We had planned it as an appetizer but agreed we needed nothing more because it is also extremely rich. 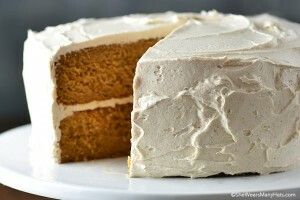 We will eat this again and again!